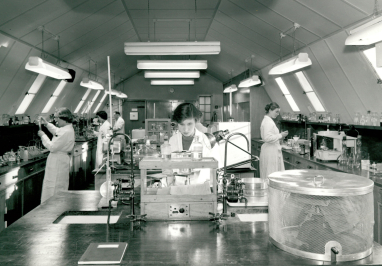 In 1934-5 we established a Textile Research Laboratory. Since then our technologists have led the way in setting quality standards and developing textile innovations, from machine-washable wool to breakthroughs in colour matching technology. Discover more through the records collected in this theme, including papers from our textile technology department, reports and training videos.